Sara Lew - Does Anybody Listen - new single out now! Some of you might remember our interview with LEW from last autumn. Now it is time for something new from her. 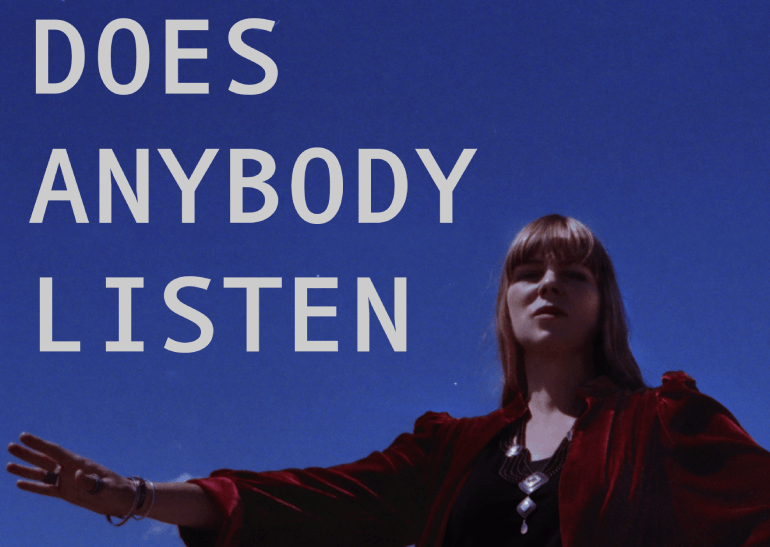 And hey, her new single “Does Anybody Listen” is not only a new song but also a new beginning as Sara Lewis Sørensen expands her artist name to SARA LEW. When hitting play for “Does Anybody Listen” you will be caught by Sara’s impressive vocal expression and the compelling drum beat of the song. Feeling these tunes, you will slide into the right emotional state for the song’s meaning, right away. The touching song, that is very much based on personal and very frustrating experiences is underlined by mesmerizing synthesizers and intense emotions. Listening to the lyrics you get the feeling you are dragged in the almost mystic scenario of the song. “The song is about acceptance, forgiveness and being able to act, even when it seems impossible. It’s about the right to say no, being brave and finding your way out even though your surrounding reality seems too difficult to change”, SARA LEW explains. It is about “being trapped in a reality made by others or by their fate – dealing with and forgiving this reality and your right to break free from it and having the willpower to do that.”, she says. When writing the lyrics, she referred to her own experiences, but she is also calling out to everyone else who was in a similar situation. That’s what makes it easy to identify with the song and get carried away thinking about your own experiences. But today is a good day, as Sara doesn’t only delight us with an expanded name and a new single, but she announced also her second album “Sunday Morning” which will be released May 10th 2019. Stay tuned!